I hope that you are keeping warm these days!! We are all still sick and trying to fight off this bug!! I wanted to swing by here and share my mid-week project for From the Heart Sketch challenge. As you can tell, the weather had much to say in which image I chose to work with this week. Also, with Valentine's Day approaching it's way in a couple of weeks, I thought this was the perfect image for the this sketch challenge. Oh isn't that the sweetest thing ever!?!? I adore this image and even though it's a winter image, I still get all warm and fuzzy when I look at it!! :) This image is called Snow Mich Fun and can be found HERE on the FTH Shop site. Here is this weeks sketch too!! You still have til Sunday evening to play along and I sure do hope you do!!! I love this card. Simple but elegant. Love the image and the card! 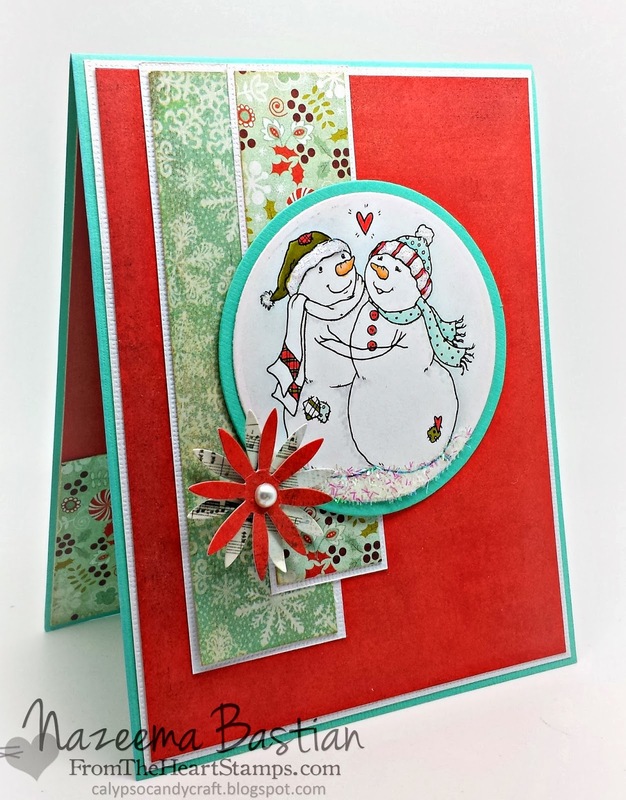 Thanks for joining us on the Kaboodle Doodles Challenge Blog!